It turned out, of course, that the helmet was part of the show (as was I, but that’s another story). 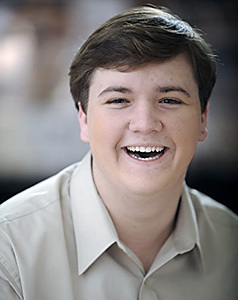 And the young man was Alexander Sage Oyen, whose CD, If I Knew Better: The Songs of Alexander Sage Oyen, has become more or less my unofficial soundtrack all summer long. Why am I listening to a 19-year-old singer-songwriter? Because Oyen’s songs, at their best, get at what exactly it means to be 19 (or 13, or 24, or even 40) in a fresh and exhilarating way. Now a rising sophomore in the University of Minnesota/Guthrie Theater actor training program, Oyen wrote all the music and lyrics for the 12 songs on this CD, and he plays all the instruments on it except the lone cello on one track. He sings only three of the songs himself; the others are performed by various friends, both from Orlando and elsewhere, and one key authority figure – his mother, cabaret singer Lois Sage, who finds grace and wisdom in the lovely title tune. Some of Oyen’s best songs are small stories, but even the non-story songs come from strong viewpoints – that of a young man trying to prove his individuality (“Making My Own Way”), looking for reassurance from the object of his infatuation (“Slow Dance”) or sailing high on the exploits of his girlfriend (the very funny “Druggie Girl”). Not all of those viewpoints are those of a young man, though: The sardonic “Happy” looks through the eyes of the girl who didn’t get the guy, and “Amelia,” one of the collection’s most haunting numbers, is the tale of a young woman who wants to feel as free as her heroine, Amelia Earhart, must have felt. I don’t love all of these songs equally, and the lyrics could be sharpened on a handful. But the best of them – “If I Knew Better,” “Making My Own Way,” the catchy “Butterflies” and “Boy and His Guitar” and especially the captivating “Slow Dance” – have been dancing in my head all summer. I can’t wait to hear what Alexander Sage Oyen does when he’s 20. 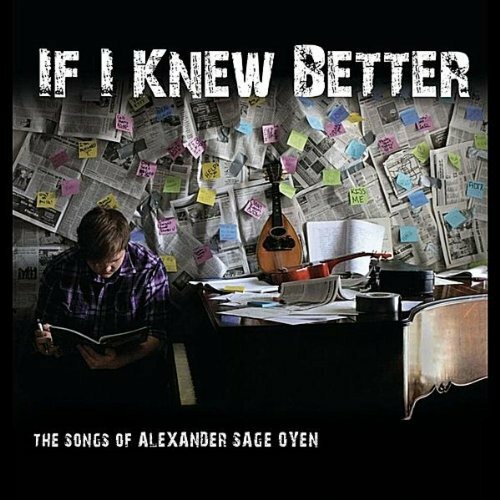 If I Knew Better: The Songs of Alexander Sage Oyen is available on iTunes and Amazon.com. A staged reading of A Night Like This, by Oyen and Sean Drohan, will be presented at 8 p.m. Sunday Aug. 14 at Master Class Academy, 711-B Orange Ave., Winter Park. Tickets are $10 at the door. This entry was posted in New plays, Orlando theater, Other arts, Reviews, Uncategorized and tagged Akexander Sage Oyen, Amelia Earhart, Compact Disc, Lois Sage, Lyrics, Music, Song. Bookmark the permalink. How cool. Young talent on the rise. I wanna hear it. This is a terrific CD. Because several of our friends perform on it, we found out about it the day it was released, and have also been listening all summer. Alex’s songs have such personal, meaningful lyrics. Highly recommended.